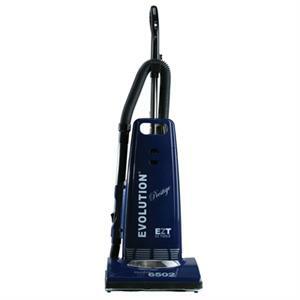 Evolution EV-6502Z Bagged Upright Vacuum Evolution 6502Z Vacuum. 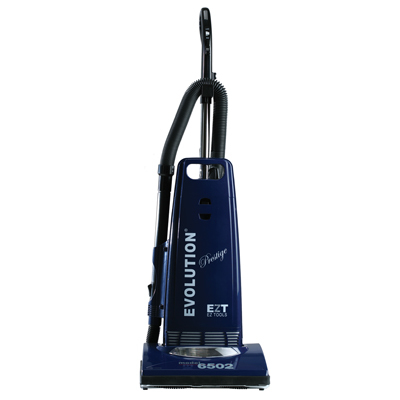 Features a metal handle with soft grip, switch located on the handle, 32 foot power cord, electrostatic hepa media filter, charcoal pre filter, electronic bag check light, EZ tool quick draw hose with telescoping wand, built in tools; duster brush, crevice tool, upholstery & additional wand. Metal brush roller with 6 brush strips which is even greater for pet hair! Metal bottom plate, 12amp motor with reset. 2 year warranty.